You are at:Home»Herbs»Commiphora myrrha Nees. Latin name : Commiphora myrrha Nees. Description : The sweet-smelling oleo-gum resin is alterative, analgesic, antibiotic, antiinflammatory, antimicrobial, antiseptic, antispasmodic, antiviral, astringent, bitter, carminative, diaphoretic, disinfectant, emetic (large doses) emmenagogue, expectorant, purgative (large doses), rejuvenative, sedative, stimulant, stomachic and tonic. In Unani medicines it is used in dysmenorrhoea and amenorrhoea, in chest infections and chronic bronchitis, asthma and phthisis for stimulating expectoration. Also useful in dyspepsia and atonic uterine affections. Powdered myrrh has been endorsed by the German advisory Commission E as a beneficial treatment for mild inflammations in the throat and mouth. Myrrh acts as a broad-spectrum antiseptic and can be applied directly to sores and wounds. Taken internally, myrrh is a beneficial treatment for loose teeth, gingivitis, and bad breath. The tincture may also be applied directly to a tooth to relieve toothache. It is antifungal, and has been used to treat athlete’s foot and candida. Some research indicates that myrrh is effective in reducing cholesterol levels. It is a tonic remedy said to relax smooth muscles, increase peristaltic action, and stimulate gastric secretions. 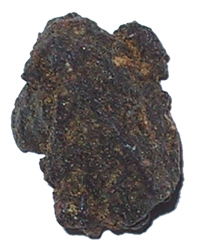 The myrrh resin has antimicrobial properties and acts to stimulate macrophage activity in the blood stream. The herb is being studied for its potential as an anticancer medication. It is useful for relieving gastric distress and as an expectorant, though this folk application has not been confirmed by experimental evidence. Myrrh increases the motility of white blood cells and normalises mucous membrane activity, which helps the body fight infection. It also promotes tissue granulation and combats blood stagnation. In Chinese medicine, it is used for wounds, bruises, and bleeding. Recommended Dosage : 1 to 2 g powder of gum. Contraindication : This gum is contraindicated during pregnancy, as the resin can stimulate the uterus. Large amounts can be overly laxative. Camphor in large doses is toxic (2 g). The lethal dosage for children is approximately 1 g and for adults 20 g. Toxicity symptoms are headache, nausea, excitement, confusion and delirium; ultimately there is loss of consiousness. The ingestion of solid camphor by children is a common cause of camphor poisoning. Undiluted essential oil in their purest state is extremely potent, and should be blended with a carrier oil or other medium prior to use directly on the skin, as the essential oil may cause irritation.